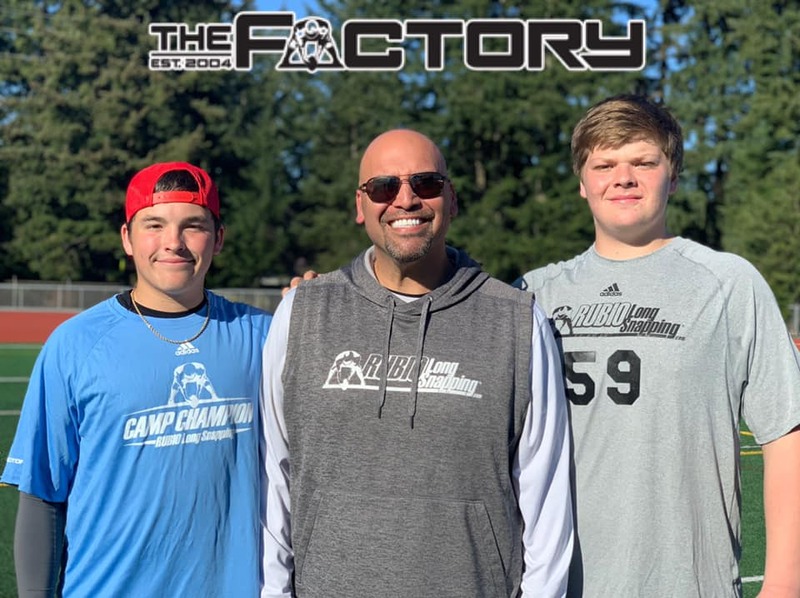 Rubio Long Snapping traveled to the Bellevue, WA on March 17th, 2019 for their Spring camp. Rubio Long Snapping will be traveling around the country this Spring with stops in CA, NC, WA, NJ, Northern CA, AZ, TX, IL & GA with everything leading into the biggest and best Long Snapping event in the world: VEGAS XXXIV in May! Long Snappers from CA, OR, NV, ID, WA, TX & CANADA all traveled to this camp to get the best instruction and exposure in the world of Long Snapping. The camp was a great time had by all with an excellent group of Long Snappers and parents. The champion of the camp was Bryce Felt. If that name sounds familiar to you, it should considering Felt just won the CA Spring Camp two weeks ago! One of the most accurate and consistent Long Snappers in the country. Nails under pressure and always improving! The overall speed champion was Beau Gardner. Beau is a massive human being overflowing with potential. Strong and physical Long Snapper with excellent follow. Powerful Long Snapper. The finals round matchups were Tom Sullivan, Michael Tokos, Grayson Pibal, Dakota Lepine, Bryce Felt and Beau Gardner. You can see the full finals video below…. As you know, at every Rubio Long Snapping camp, the Long Snappers are tested to receive an RSI score. This is the most accurate and fair way to test a Long Snapper. 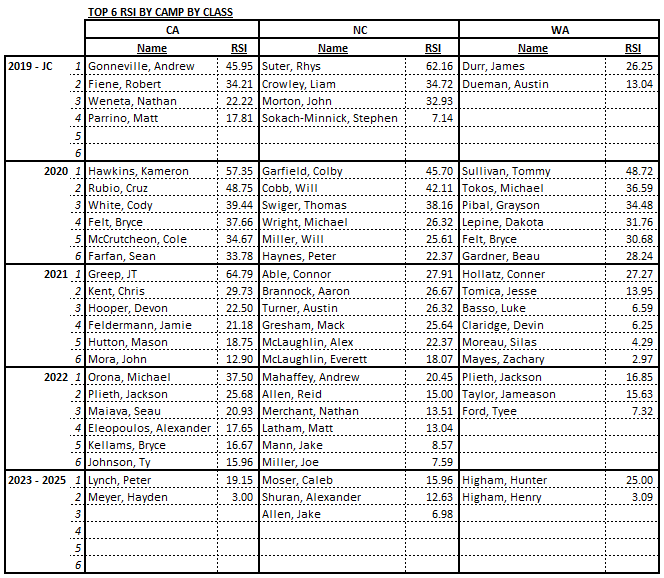 Here are the RSI Scores from the Washington Camp…..